Obituary for Michael Howard Cannova | Rhoney Funeral Home, Inc.
Michael Howard Cannova, 56, formerly of Inlet, New York, died last week in Niagara Falls, New York. He was born in Mineola and lived in Inlet for most of his life. He worked in construction and built many houses/camps in the Inlet /Old Forge area and in Niagara Falls. He was also an avid mechanic. 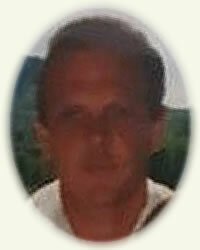 He is survived by his father, Willie Cannova of Limekiln Lake Road, his children Jordan, Jacob and Rachel of Youngstown, a stepson Adam Tarczynski(Samantha) of Hamburg, brother Christopher Cannova from Niagara Falls, and stepsister Deborah Baer of Long Island; as well as aunts, cousins and nieces. He was predeceased by his mother, Barbara (Jackie) Cannova of Inlet. Memorial services will be private and held at a future date in the Adirondacks. Memorials can be sent to Inlet Volunteer Emergency Services, PO Box 300, Inlet, NY 13360 or Niagara Falls Heart and Soul, 939 Ontario Ave, Niagara Falls, NY 14305. The family would like to thank Rhoney Funeral Home in Niagara Falls for their excellent service in making the arrangements.